Do you love four-legged canine companions? Do you wish you could spend your days outside caring for these loyal and intelligent pets? Are you looking for a fun and energetic way to change your career path? Embark on your next career adventure by investing in a pet grooming business with Aussie Pooch Mobile Dog Wash. Since 1991, we’ve helped dog lovers fulfil their dreams to become certified pet groomers qualified to operate their own mobile pet grooming business. Sale of our well-known franchises is available in Australian metropolitan hubs in tiered packages for accessibility and convenience, all based on your goals and needs. 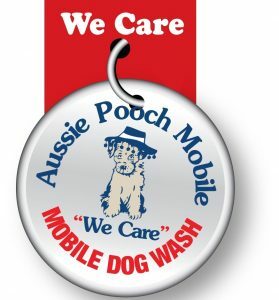 Aussie Pooch Mobile Dog Wash was established by an ambitious young woman inspired by her passion for dog care and encouraged by her thriving high school pet grooming business. Founder Christine Taylor has established a convenient service that provides patient, compassionate, skilled, and knowledgeable care. rinse which will leave your pooch smelling and feeling divine. Dog owners don’t have to worry about getting their dogs out to the groomer, and even wary dogs stay comfortable by remaining in familiar surroundings with the Aussie Pooch Mobile, fully equipped dog wash trailer that comes to you! Chris Taylor (founder) focused on expansion and put her successful pet grooming business for sale as a franchise opportunity. Nearly 30 years later, we’ve amassed 200 operators worldwide and have received numerous awards for outstanding service. Not wanting to offer our grooming business for sale to just anyone, we’ve approached expansion and onboarding new franchise holders much like a traditional company attracts new team members. No prior experience is necessary; a passion for dogs accompanied by a loving and attentive commitment to thorough work is all you need to get started. Benefits to capitalising on this pet grooming business for sale include flexibility, autonomy, empowerment, and of course, working with one of the most fun-loving, intelligent, and loyal members of the animal family. Establish your territory and develop a client base while you run your grooming business, setting operating hours as you please. The choices are all yours, and the possibilities are endless. We offer three franchise packages to suit your experience, needs, and the services you’ll offer. Rather than sign off on the use of our well-established trademark branding, we work with each new franchise owner to train and develop your skills ensuring that your pet grooming business performance meets brand standards for grooming excellence. Training is particularly vital, as our brand offers a unique “Clean flea-free and smelling great” money-back guarantee. If their pet isn’t cleaned to expectations, they don’t pay. Talk with our franchise sales team to discuss any questions or concerns. Let’s set up a time where you can get acquainted with our cutting-edge mobile grooming trailers before making any commitments.